Introduction by the Conference Chair, ‘Bakr Bahaj,University of Southampton. Clean Air and Energy, Southampton City 1st UK City to Reduce NOx and be CO2 Neutral by 2040, Councillor Chris Hammond, Leader, Southampton City Council. 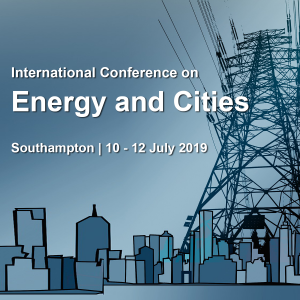 Keynote Speech – Dr Alan Whitehead, MP, Shadow Minster Energy and Climate Change(invited). 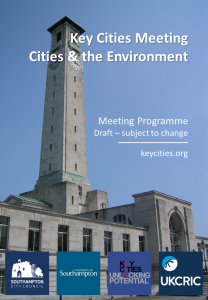 Round table 1: Air quality – reducing city air pollution in local authority cities. Round table 2: Transiting cities to Low Carbon Energy – Electricity and Heat. Feedback from Breakout Session 1. Round table 4: Local energy companies, offering residents affordable low-carbon energy. Feedback from Breakout Session 2. Port Cities – input from ports partners – city relationships and how to improve it. 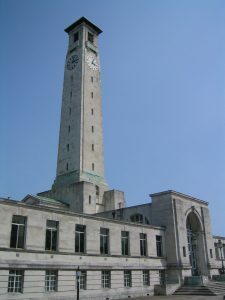 Solarising Southampton, ‘Bakr Bahaj,University of Southampton. Evidence Base – input from academia – exploring best practice for Local Authorities. SmartCity Sensors: lessons learned from real world deployments, Nick Allott, NquiringMinds, Southampton. Innovative ideas/concepts from academia. Idea is to ensure best practice and potentially a toolkit of policies for local authorities. 2. UKCRIC is the UK Collaboratorium for Research on Infrastructure and Cities. 3. Programme likely to change.